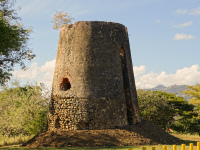 In her book De Los Bueyes al Vapor , Lizette Cabrera Salcedo states the windmill at Hacienda Berdecía was the second windmill installed in Guayama after Carlota . 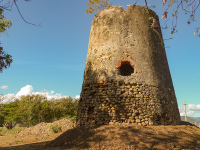 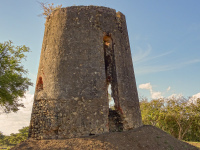 She also states that while under the ownership of Francisco Guilfucci, a Corsican immigrant also owner of Hacienda La Isabela in Arroyo, the windmill was bought in 1833 (six years after the one installed at Carlota) from Jorge Nelthrop in Saint Croix and installed by technicians from Saint Croix at a cost of $2,400. 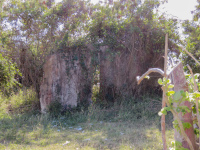 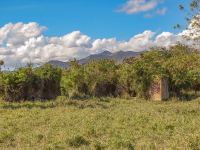 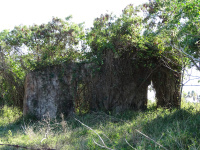 This 172 cuerdas hacienda of which some 115 were used to grow sugarcane, was first known as Belvedere (not to be confused with Belvedere in Cabo Rojo ), and as La Milagrosa and Bella Vista. 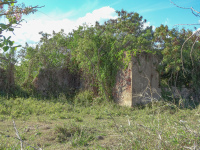 Between 1825 and 1888 it was owned at different times by Antonio Prosperí and Fantauzzi Hnos., owners of Central Lafayette . 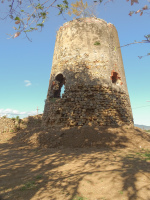 It is one of only a handfull of wind driven mills structures remaining on the island, the others being Carlota , Plazuela , Santa Ana and Vives . 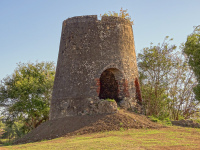 It is located 200 m South of PR-53 South of Urbanización San Antonio.